"Hi! 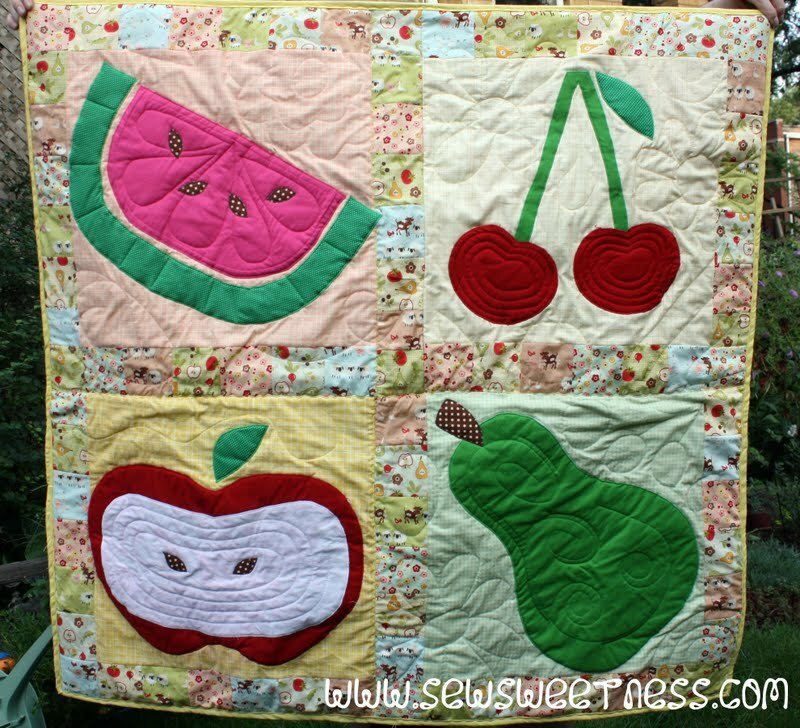 My name is Sara and I'm visiting the Cutting Corners site today from my blog, Sew Sweetness. 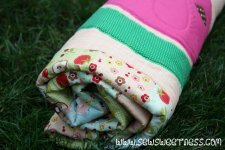 I'm really interested in writing pattern reviews, tutorials, and sewing clothing, bags, and quilts! 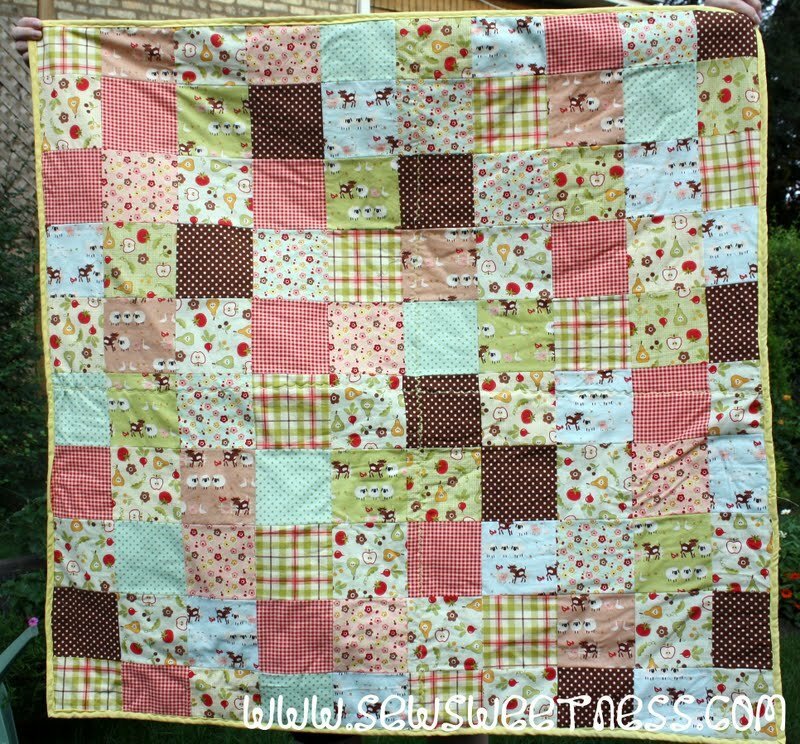 My tutorial today features the Farm Fresh line from Riley Blake, designed by October Afternoon. One fat quarter bundle will be enough to make the entire quilt, including the backing and binding! 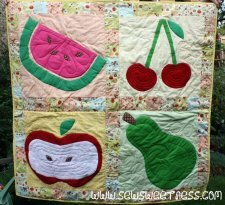 "This picnic blanket features colorful fruit applique, and is quilted using a 'Quilt-As-You-Go' method." 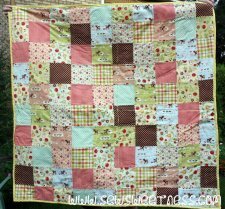 Please Note: The download links for the printable tutorial walk through and the applique templates are just below the first image of the article. Enjoy!